Lamar Odom is an American basketball player who was born on November 6, 1979. 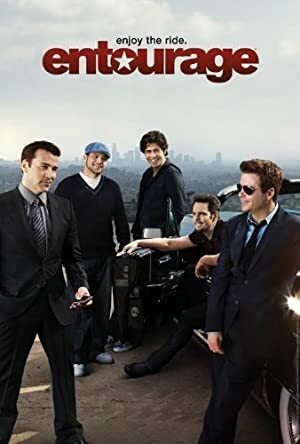 In 2005, Lamar Odom was credited for the TV show Entourage. Lamar Odom's recent filmography includes the movies Snoop Dogg's Hood of Horror (2007) and National Lampoon's Van Wilder (2002). Lamar Odom's Instagram account (@lamarodom) has a moderately sized audience with around 439,000 followers. Lamar Odom's recent posts to Instagram have gotten around 7,800 likes each. As of 2018, Lamar Odom has contributed to one TV show. Entourage is the only recent TV appearance for Lamar Odom. In 2005, Lamar Odom was a guest on Entourage. There are about 2 movies featuring Lamar Odom as of 2018. Some of the most recent Lamar Odom movies include Snoop Dogg's Hood of Horror and National Lampoon's Van Wilder. Snoop Dogg's Hood of Horror, released in 2007, featured Lamar Odom as Himself. National Lampoon's Van Wilder, released in 2002, featured Lamar Odom as Coolidge Chickadee Player. MGMT & Business requests contact : Zoul El Fassi / @iamzoul / zoul@savagetribemedia.com Get my new CBD brand Odom7 now!! Lamar Odom Instagram: Proud of my big bro @icecube for making this happen and making me part of it!! ! This is huge! I hope you ready for us peeps!! @thebig3 @cbssports @cbstv THE DRAFT TAKES PLACE MAY 1st / League STARTS 22 JUNE !! lamarodom Proud of my big bro @icecube for making this happen and making me part of it!! ! This is huge! I hope you ready for us peeps!! @thebig3 @cbssports @cbstv THE DRAFT TAKES PLACE MAY 1st / League STARTS 22 JUNE ! !